Amy and Dave's guests were treated to a magical bonbonniere display at their wedding. 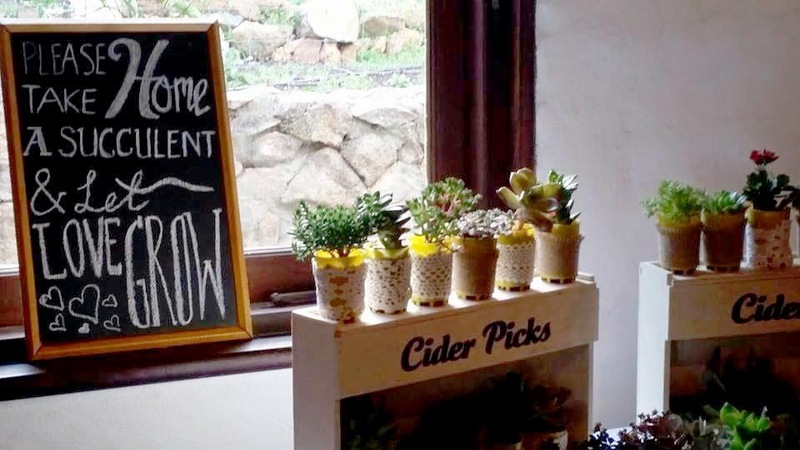 Accompanied by a chalk board full of beautiful typography, The display contained succulents dressed up with doily patterned ribbon. Other ideas for dressing up a plastic pot include brown paper and twine, hessian or coloured ribbon tied into a bow. 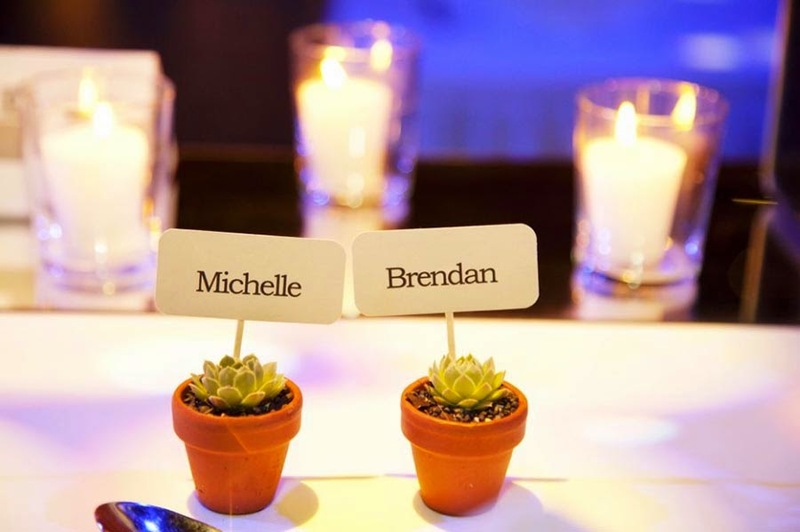 Michelle and Brendan created adorable placeholders for their table setting from mini succulents in terracotta pots. Name tags can be attached using a bamboo stick or even a tiny wooden peg that you can pick up at most craft stores. Charming and practical, Michelle and Brendan's guests had a delightful memento to take home with them. A big thank you to Amy and Michelle for sending us in their photos. If you would like to know more about our wedding/event favours, please email us at sales@fickleprickles.com.au, and we will be happy to discuss the options available to make your event truly spectacular! Germany was amazing. We were lucky enough to head over there at the end of summer, and so experienced blissful temperatures of low twenties the entire time. Bumble bees were buzzing about, gorgeous flowers were in bloom and people of all ages flocked to see the stunning castles and botanical gardens that seemed to exist around just about every corner. A girl could get used to this. 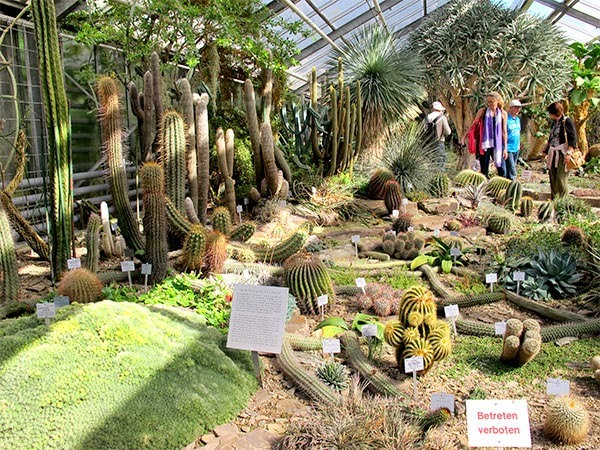 One such attraction was the Botanische Gärten der Universität located near Bonn, a beautiful city on the banks of the Rhine River. The garden is one of the oldest and most traditional gardens north of the Alps, and accompanies an area of over fifteen acres. In the garden were several greenhouses, and one was dedicated entirely to succulents and cacti. 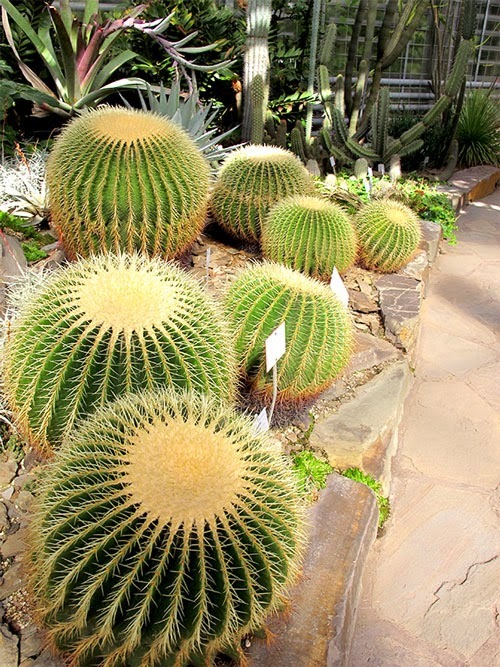 Seeing the grand size of some of these species really told the story of how long this cactus house has been established. The tree like aloe in the background, if I remember correctly, is Aloe dichotoma. It looked to be very well established, and was a real crowd pleaser. It was truly unfortunate that we did not get to see the Titan Arums in flower, one of the main attractions of the garden. Known as one of the most spectacular phenomena in the plant kingdom, the Titan Arum (Amorphophallus titanium) can grow up to six metres tall and just about as wide. Its inflorescence (or flower) has only been witnessed in a handful of places around the world, and is known for its smell which imitates a rotting animal carcass. The next stop for us was Spogagafa, and this international trade show lived up to its reputation of being one of the largest trade shows in the world. We spoke to some great succulent growers form Germany and Holland and saw some very interesting cacti and succulent displays. What caught our eye the most was the incorporation of 'bling' to almost every plant we saw. 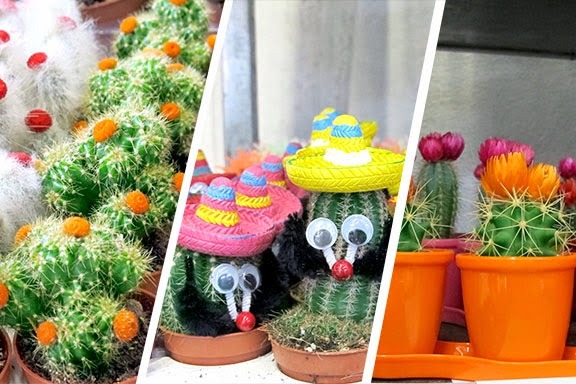 Fake flowers glued on, accessories like hats and mustaches attached, and some succulents were even painted in glittery and glow-in-the-dark paint. What do you think - Trendy or trashy? We would love to know your opinion - head on over to our facebook page and make your verdict.